The Metropolitan Entertainment Centre features a variety of exquisitely appointed spaces to cater to any need. Enjoy a casual drink or an intimate meal in the lavish Lobby and Promenade Lounges. 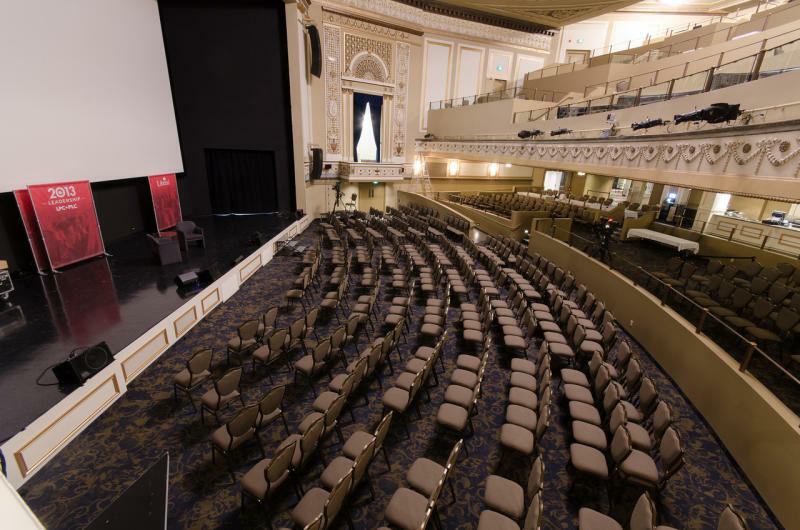 Enjoy dinner and then settle back to watch a movie in the Grand Hall on the 35 ft.by 26 ft. screen, or reserve one of the balcony level privates boxes for your next special event. Private meetings or pre-event gatherings can be catered in the The Parlour, and the Roof-top Patio provides an ideal spot for seasonal dining. The MET offers a delectable menu of contemporary casual cuisine.